Siding is key in protecting the walls of your structure from the effects of the weather, siding is also a crucial part of your home or building’s exterior appearance! Cladding is the process of covering or “capping” a area of your structure using a certain material for protection against weather, or simply to add to the curb appeal of your home. Charleswood Roofing offers a variety of siding & cladding options to upgrade your exterior in Winnipeg and area. Options include: Vinyl siding and fiber cement siding (in a variety of styles), Faux stone/brick or rock siding, stone veneer, and aluminum. 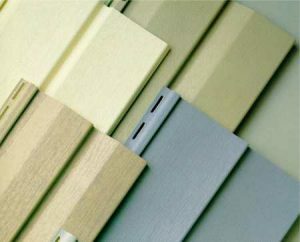 We utilize a variety of suppliers to find the best material match for your project. Whether looking to upgrade and add value to your home, or if you are building a new home, we would be happy to assist you through the process of selecting a product, colour selection and install, click here to book a estimate.